Posted on Dec 17, 2012 by Appleton Downtown Inc. 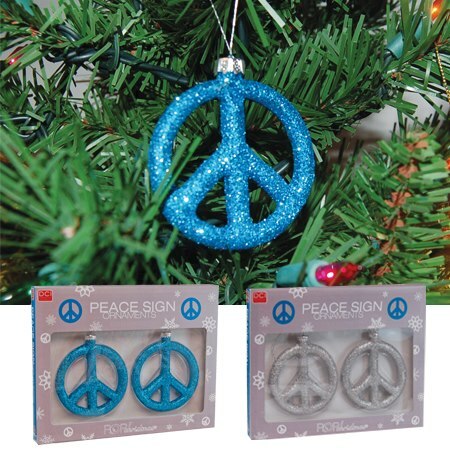 The Peace Sign Ornaments are here!! Each is 4" in diameter and they come two of the same color to each package (silver and blue). Each package runs $15.50.